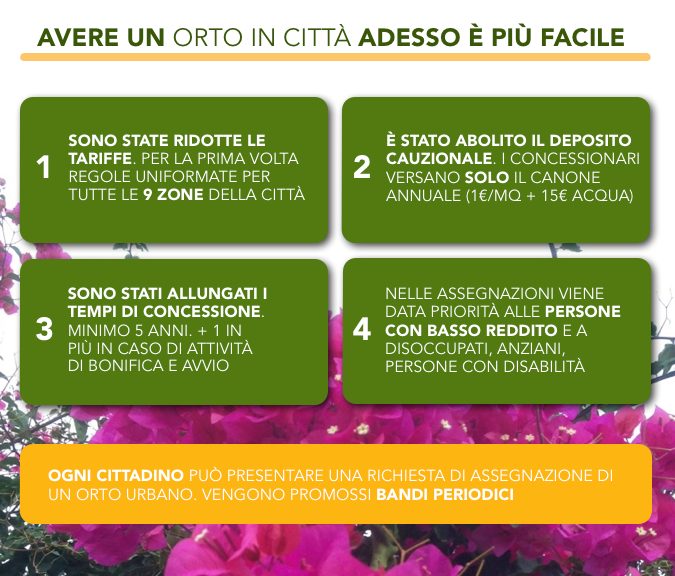 Promuovere la coltivazione degli orti urbani, anche in vista di #Expo2015, come strumento di socializzazione tra i cittadini, valorizzazione di spazi inutilizzati della città e recupero di aree verdi, educazione al corretto utilizzo del territorio nel pieno rispetto dell’ambiente. È l’obiettivo del progetto “Coltivami”, per riportare l’agricoltura eco sostenibile a Milano attraverso le esperienze degli orti, con una particolare attenzione al coinvolgimento di persone anziane, giovani, famiglie, cittadini di tutti i Paesi. This entry was posted in Uncategorized and tagged agricoltura urbana, EXPO2015, MILANO, orti urbani. According to scientists at the Ecology and Environment Division, Forest Research Institute in India, “management of solid waste has become one of the biggest problems we are facing today. The rapid increase in the volume of waste is one aspect of the environmental crisis, accompanying recent global development.” In addition, degraded soils are a problem throughout the world. 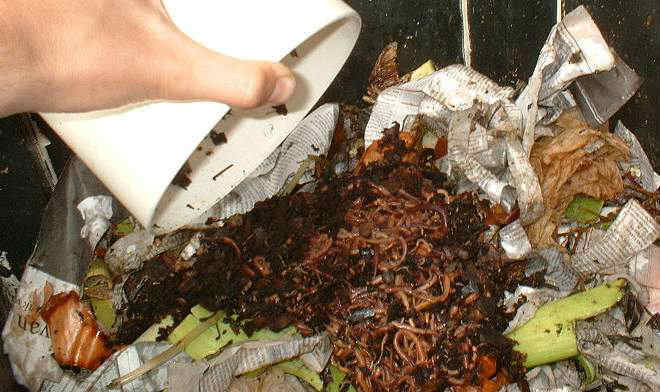 Worm composting, orvermicomposting, is an innovative way to address the increase in waste by turning organic matter into nutrient-rich compost for soils, as opposed to dumping waste in landfills. It can be done by home gardeners, farms of various sizes, and in large commercial operations. Vermicompost can have a number of benefits for soils. As primary consumers in the composting process, earthworms eat organic matter such as food particles and plant debris which they then convert to compost in which nutrients are more easily available to plants. Vermicompost can improve soil structure and soil fertility by increasing porosity and aeration and improving soil moisture-retention, all of which can help increase crop yields. Adding vermicompost to soil can increase microbial organism activity by up to 20 times higher than soil that has not been amended. Vermicomposting can be done both indoors and outdoors, which means it can be done year-round, an advantage for home gardeners and small-scale farmers. It requires few materials: just a container, worms, moist bedding, and organic matter such as food waste. Managing the process does require some care in terms of providing worms the ideal amount of organic matter and maintaining the ideal amount of moisture in the compost pile. The end product can be used to amend potting soil, used as mulch, as a lawn conditioner, or added to water, which is then used to water plants. Vermicomposting also produces an excess liquid which can be captured and used as a liquid plant fertilizer. Here is one useful resource on how to vermicompost. This entry was posted in Uncategorized and tagged landfill, orvermicomposting, solid waste, vermicompost. The urban agriculture movement in Washington, DC, is continuing to grow, as residents look to connect with the land and their food, build community, and create a more sustainable food system. Below, Food Tank looks a little more closely at 10 of these urban agriculture projects. 1. City Blossoms aims to increase youth awareness about caring for themselves and the environment through gardening. Over the past nine years, City Blossoms “has designed a unique method of developing and managing robust green spaces where children and youth are engaged as the main cultivators”, specializing in “an art-based, hands-on approach that emphasizes the strengths and unique qualities of each learning center.” All of City Blossoms programs work with the needs of the local environment and community members. 2. Common Good City Farm started in 2007 as both an education center and an urban farm. The farm offers hands-on training and experience in food production, healthy eating, and environmental sustainability. Although the food grown is intended for low-income residents of Washington, DC, the education is available to everyone. 3. DC Greenworks offers many programs throughout DC. that promotes a new sustainable economy. These programs include rainwater conservation and reuse, green job training, design and construction services, and urban agriculture. Their urban agriculture projects help implement innovative projects, such as rooftop gardens, community gardens, school gardens, and numerous other avenues. All of their projects aim to build a sense of community and strengthen DC’s sustainability. 4. GroW Community Garden was started in 2009 by a group of The George Washington University students. The garden is completely student-organized, with a mission to “restore the environment, promote community, build relationships, and pursue justice through gardening.” Students, faculty, staff, and neighbors are encouraged to take part in the gardening process. Currently 80 percent of the crop is donated to Mariam’s Kitchen’s Meal Program, a soup kitchen for the homeless in DC. 5. Love and Carrots makes people’s yards both beautiful and productive by helping to transform unused green spaces into edible gardens. Love and Carrots aims to take the intimidation out of home gardening by designing, installing, and maintaining organically grown vegetable gardens. Their services range from consultation and design to coaching and maintenance. 6. Neighborhood Farm Initiative’s (NFI) mission is to “promote collaborative, sustainable cultivation of food in urban spaces. [They] work to increase opportunities for Metro DC residents to grow food and participate in the diverse communities that thrive in shared urban gardening spaces.” NFI creates demonstration gardens out of underutilized green spaces, which allows them to provide hands-on gardening experiences and education. 8. Sharing Backyards encourages urban gardening by connecting people who would like to garden but don’t have the space with those who have available gardening space. It creates trust and connections between neighbors, enabling them to create beautiful gardens together, sharing in the cost, hard work, and eventually the delicious harvest. 9. Three Part Harmony Farm grows a wide variety of plants, including vegetables, fruits, herbs, and flowers, all with organic production techniques. Three Part Harmony Farm aims to decrease the energy costs associated with global food production as well as create food sovereignty for the local community. They also help promote urban farming and gardening by growing and marketing seedlings for home gardening and offering informative workshops. 10. The Washington Youth Garden (WYG) “uses the garden cycle as a tool to enrich science learning, inspire environmental stewardship and cultivate healthy food choices in youth and families.” WYG uses four programs to achieve these goals: Garden Science, which brings garden-based science and nutrition education to DC area elementary schools, Seed to Supper, a six-week summer employment opportunity for older youth, Family Garden Days, where family members can learn about gardening, nutrition, and cooking, and SPROUT, a field trip program to the WYG demonstration garden available to schools throughout the DC metro area. This entry was posted in Uncategorized and tagged URBAN AGRICULTURE, WASHINGTON DC.